I was beyond bummed that I missed out on Dodger Hello Kitty Givaway night (both actually). No bobble head or fleece blanket for me…wah wah. But I did however get to go to a game…and I was sure to make it a Hello Kitty night of my own. I heard there was a HK section at the team store now…I was hoping they had a hat. They did! But…it was all sold out on the online MLB store! I actually couldn’t even find a picture online…but I image that it looked pretty darn close to the Padres cap. HK…does she have no loyalty? It’s hard to tell but there are little white ears…if you google Hello Kitty Dodgers hat a pic of another asian girl will come up wearing it…lol. I actually wasn’t really a fan of the hat…and also…I don’t reeaaallly want it to be HK ALLL the time….just most of the time. SO I got my throwback Brooklyn Dodgers hat and worked my magic. This is pretty much all you need! I found a template to print online. Get the bow template here. Just cut around the bow and pin it to the red felt. Trim the felt around the bow. After you cut out the two bows (one for the front and one for the back) use the center of the template to cut out the circle for the middle. You only need one! Also pictured is the stuffing. I wasn’t sure if I needed it at first BUT yes…puffiness was necessary. Glue all the edges together with the stuffing inside. I folded the top bow in the center and glued the circle on top to give a cinched look…you can’t really tell in this picture but you’ll see what I’m talking about in the finished product. I used clothespins to hold it tight while the glue hardened. Ooh la Loo! There it is! 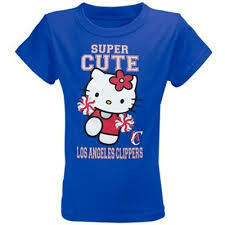 Since next month my favorite sport season begins (Basketball), my HK bow will get a chance to girly up another cap….Clippers!! And here is proof that HK loves the Clips as well. 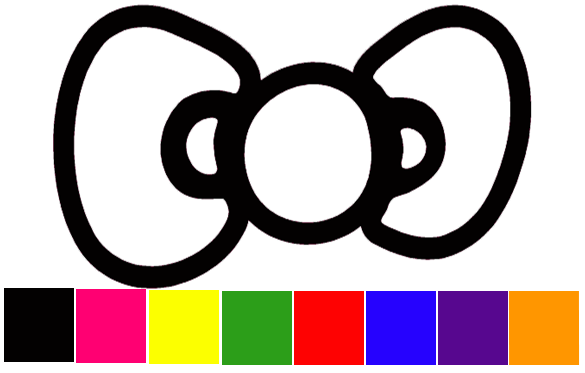 Luckily…the Clips have the perfect colorway for the bow…my favorite colorway actually. I LOVE royal and red together…actually navy and red too. I think the bow looks pretty good on my snapback if I do say so myself.